Each month I am usually asked the question ‘how do you fit it all in?’ This is from friends, family and people I work with. I have a young family, tough job and a good social life – fair enough; lots of people are in the same situation. The main difference is that I am very keen on sport and want to fit training into my life. 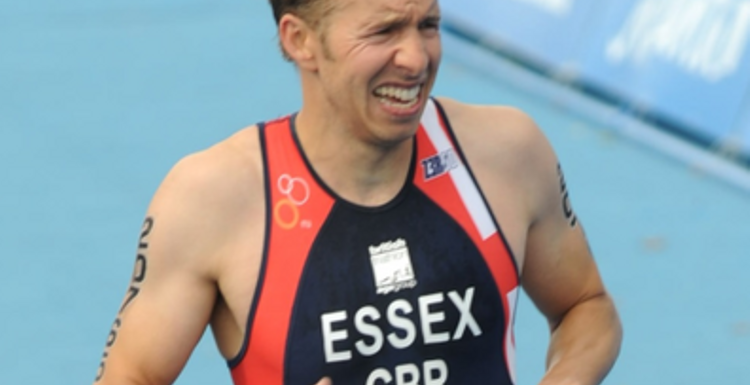 I manage to do 8-10 hours of training a week and specifically want to continue competing for team GB in the age-group triathlon world championships. So how is it possible to fit training in around a working week? Try the 4 step POKE method to poke yourself into action! Sounds silly but you want to banish all the preconceptions you have about being able to fit in exercise in your week. We are creatures of habit and get very comfortable in our routines and close ourselves off to new ideas. For the next 15 minutes, stay nice and open. Each and every one of us have 15 potential training slots in a working week. 15!!!! Morning, lunchtimes and evenings every day for 5 days a week. Stay open minded…..as you may only need to find 2 slots that work for you. First up for selection is the daily commute. If you are in London, chances are you spend at least 1 hour each way commuting. This is already built into your day so being able to convert some or all of this into training is a double pointer – get the training in with little to no impact on the family. I live 28km away from my office in London and this year took the plunge and decided to bike in 2 or 3 times a week. You could also bike part of the way in and then get the tube to work. Or run to work if you live closer. Early mornings. I firmly believe that 20 mins exercise is worth doing. These slots are perfect for that – either a run or a blast on the turbo trainer to get a sweat on. If you have a garage or a spare room, leave the bike set up on the turbo trainer so it is ready to go at 6am. Believe me, after the initial pain, it’s a great feeling having done your day’s exercise by 6.30am. Keeping a training diary next to your bed is a great way to monitor how you are doing. Each day you do some exercise, write down what form of exercise it was and how long you spent doing it. At the end of the week, tot up the amount of hours/sessions you have done. It’s a good way to keep motivated and to track your progress. I haven’t talked about exercise goals (get fit, lose weight etc) because I believe it can be simplified into one simple target – enter an event. The event should be long/hard enough to be a challenge to you and should be slightly out of your comfort zone. When you think of the event, does it give you a little flutter of butterflies in your stomach? If so, then that’s probably the one. Tell your friends and family you are doing it as well then it is harder to pull out as D-Day approaches and it will help you get out an exercise when the sofa is calling you….. I love the advice about forget about goals - just enter an event. That keeps it nice and simple with no further expectations. what a great attitude and what an inspiration. Great to see that he fits all this in without compromising his family responsibilities.